Following 17 years of employment at Arrow, Tom Jordan has achieved a promotion to Operations Manager. This position carries with it many additional responsibilities and demands both refined management skills and attention to detail. He will preside over issues of regulating and training the servicemen, maintaining the fleet of vehicles as well as the company’s physical assets. Tom Jordan’s stellar work ethic and dedication to the company make him an excellent fit for his new position. 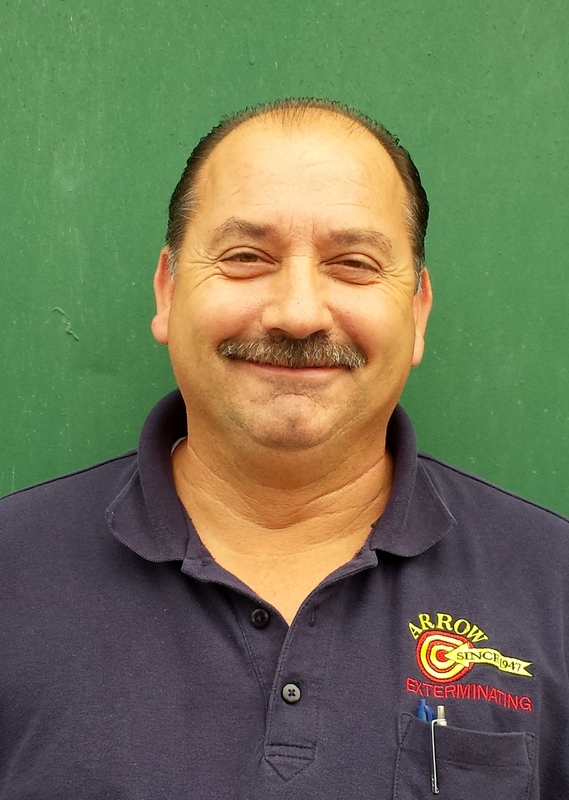 In addition to his work at Arrow, he is the active Chief of the North Babylon Fire Department where he has been holding ranking office positions of one form or another for 13 years. He finds the time to put in roughly 30 hours a week at the Fire Department answering calls and managing emergency situations when he is not in our office or out on the road with the service technicians. Part of what attracts Tom to the pest control industry is his genuine love of animals and fascination with insects. He was formerly an exotic bird trainer and began training pigeons at the age of 10. He currently maintains a coup of white ‘dove-like’ pigeons that he symbolically releases at events such as weddings. Due to their training and “homing” instincts, the birds invariably fly back to their coup after being released. At one point he owned his own exotic pet store, and was also self-employed as an exterminator for 3 years. Tom is a true “company man” that is proud to work at Arrow. He is enthusiastic, enterprising, hard-working, and accustomed to positions of management. On behalf of all of us here at Arrow congratulations on your promotion and good luck. This entry was posted in Uncategorized and tagged Management, North Babylon New York, people on the move, promotion, Tom Jordan on September 13, 2013 by ArrowBugBlog.